The unique combination of amber extract, nourishing and strengthening properties with cleansing and detoxifying active charcoal is the answer to greasy hair. 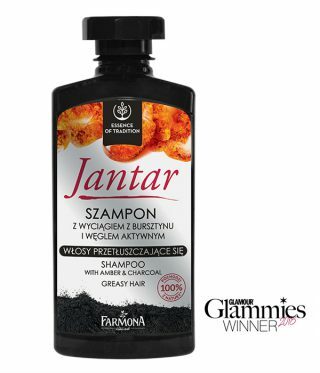 Jantar series of products, inspired by the richness of nature, is based on advanced plant bio-complexes and uses the magical power of amber. Products contain natural extract of amber, a complex of vitamins A, E, F and Inutec – a natural prebiotic with excellent conditioning properties. Amber extract nourishes, strengthens and smoothes the hair.